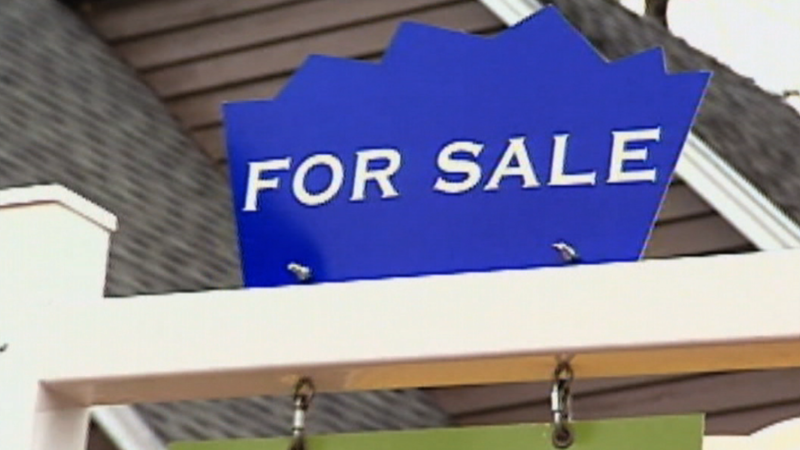 Homebuyers getting priced out in cities across U.S. In big cities across the country, home buyers are growing increasingly frustrated as rising home prices and stiff competition shut them out of the market. 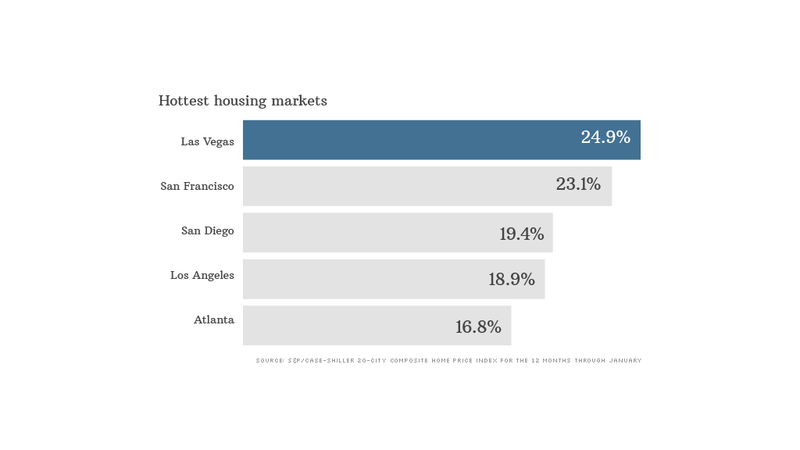 In cities like Las Vegas, San Francisco, San Diego, prices have climbed by as much as 20% or more in the past year, well above the national average of 13%, according to Case Shiller. Plus mortgage rates are up by nearly a point to 4.3%, so borrowers today are paying 25% more than they would have a year ago. Even those who have no problem affording a home on their own are having a hard time closing the deal. Helen Cittadino bid $600,000 in cash on an 890 square-foot two-bedroom condo in Palo Alto, Calif. -- a $20,000 premium to the seller's $580,000 listing price. And she was still outmatched by a higher all-cash offer. "What's crazy is how many people here are capable of putting in all-cash offers," said Cittadino. Nationwide, about 35% of all offers were in cash in February, a nearly 30% increase from a year earlier, according to RealtyTrac. In the Bay Area, the cash is coming from deep-pocketed tech workers. In New York, Wall Street workers, flush with bonus checks, and foreign buyers looking to park assets, are paying with cash. Meanwhile, South Americans have been buying up real estate in South Florida as a safe haven for their money. In February, more than 71% of sales in the Miami area were all-cash deals. All of these cash buyers are picking up what little housing there is available in these hot markets. New home construction is still well below normal levels, which has kept inventory tight. Making matters worse: many prospective sellers are waiting to put their homes on the market for fear they won't be able to buy a home to move into. Related: Cost of living -- how far will my salary go in another city? As housing becomes more expensive some worrisome trends that occurred during the bubble years are re-emerging, said Stan Humphries, chief economist for Zillow. These include a greater reliance on non-traditional financing, like low-downpayment loans and adjustable-rate mortgages, and a greater pressure to move further away from urban job centers in order to find affordable housing. Jeff Cuthbertson and his wife have bid on more than a dozen homes in Austin, Texas over the past several years and have been outbid on every one. "We have been priced out of the market -- literally," he said. "Now we are planning a move, probably to North Carolina or Tennessee."